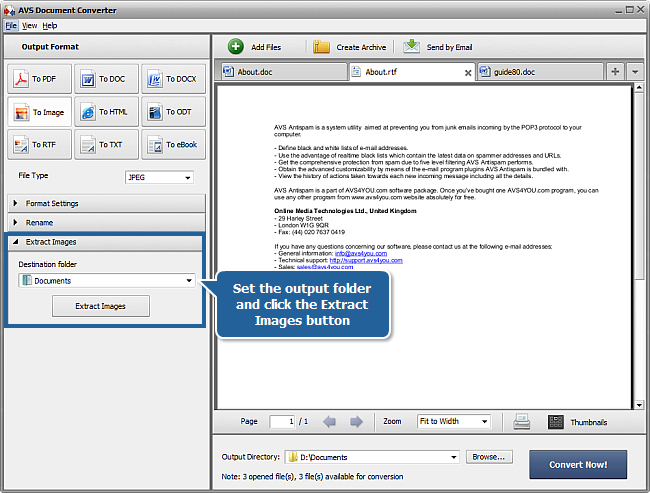 If you have a set of documents of different formats and need to prepare all of them for printing or sending via e-mail, or you want to convert a text file containing tables and diagrams to an image file to insert it in your presentation - AVS Document Converter will help you solve these problems in a few easy steps. 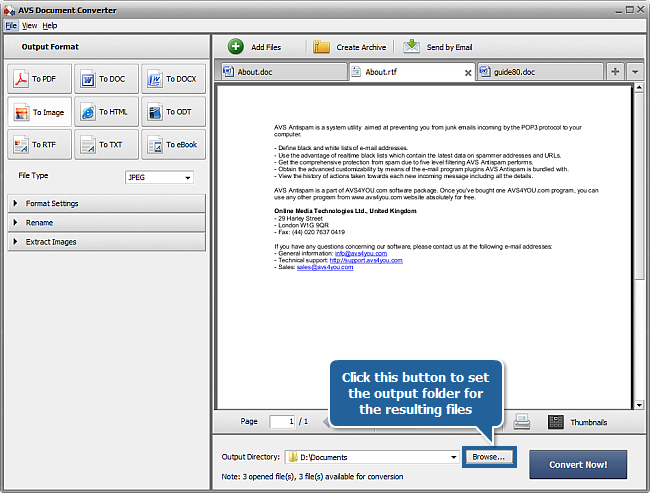 Mobi to convert your documents into the Mobipocket format with the .mobi file extension. Note: if you select the PDF, Image, TXT, Rich HTML or eBook format it will be possible to adjust format settings. The Format Settings panel will be available in the Working Area. Click the black arrow to expand it and set the desired parameters according to your needs. To learn more about these settings please refer to our online help. Note: if the PDF, TIFF or eBook format is selected, the Merge section will also be available in the Working Area. 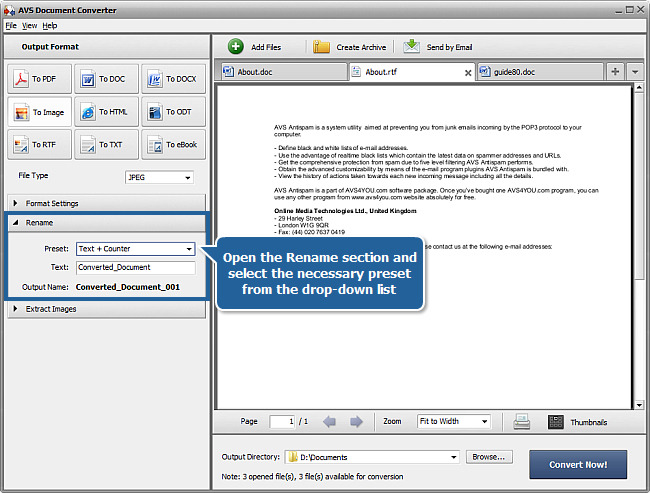 Using the options provided here you will be able to join all the opened documents (or only some of them) into a single file of the selected format. For more details, see these instructions. 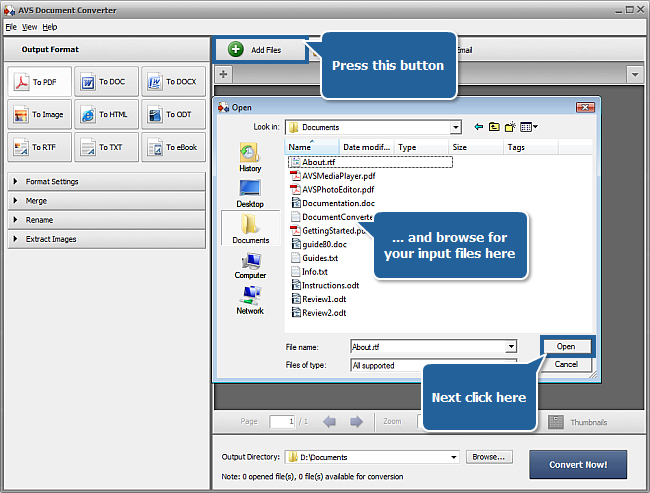 Now you can press the Open folder button and use your converted files in accordance with your needs.